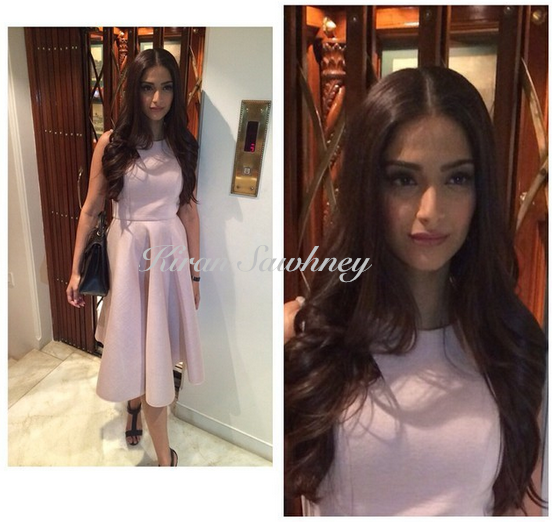 Sonam wore a blush pink dress from Dhruv Kapoor for her interview with Koel Purie. She teamed it with black sandals and black bag. We really wish she had chosen some other color and not black for the accessories. The dress and her makeup was bang on.